LSTC's primary goal for junior players is to assist and support on their tennis journey with emphasis on building character, habits and skills for a lifetime of successes. LSTC care about health/wellbeing, athletic/tennis improvement and who individuals become because of tennis. Tennis is a way of building character. Honesty, positive attitude, great work-ethic, patience and respect are traits which are essential in building a great athlete and tennis player. Therefore coaches will continually encourage and assist in the development of these characteristics to helping players become the being the best they can be. LSTC aims to use tennis to create extraordinary human beings. Without good health people are unable to improve as athletes or a tennis players. Focusing on excellent practice of essential daily habits like correct breathing, adequate sleep, hydration, nutrition and stretching will be the key to unlocking athletic and tennis potential. LSTC are committed to helping every player become a better athlete. Good athleticism is essential in helping accelerate tennis performance. We aim to help develop every individual’s general fitness and tennis specific fitness. Coaches and trainers will look at each person individually to ensure the correct athletic pathway is created. Warm-ups and cool downs will be vital in preparing and regenerating the body and mind. The essential daily habits listed in PERSON are the starting point of successful athletic development. Healthy body, healthy mind. 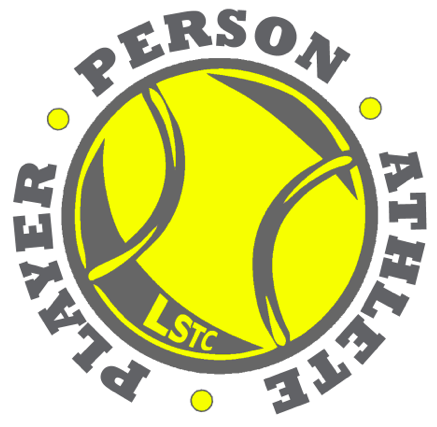 LSTC is committed to individual profiling and focusing on individual tennis needs. Aims are to keep tennis fun and challenging and at the same time help develop individual awareness of the sport. Continual development of the 4 performance factors (Mental, physical, tactical and technical) with support from the coaches/trainers, will create solid foundations, allowing individuals to progress further with tennis. Focusing and improving the PERSON first and ATHLETE second will lead to being a successful PLAYER in tennis and in life.